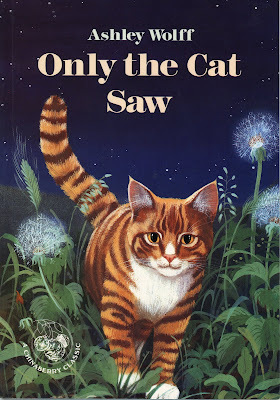 My mom recently found a copy of Only the Cat Saw to gift to us. 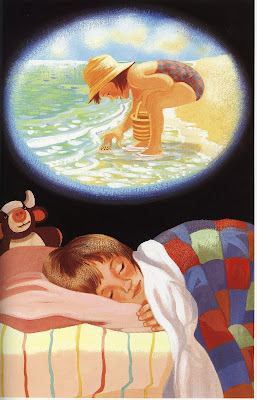 It is out of print now but she would read it to us when we were little. Now, I am the Mommy reading to my girls and I hope they enjoy story time as much as we did as children! Sophia loves this book! She wears a huge smile on her face whenever I read it to her! One of the many rewards of reading to your little ones! I love these illustrations by Ashley Wolff. Simply gorgeous! 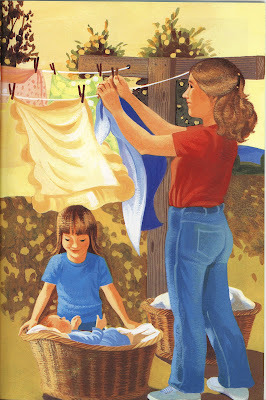 She also illustrates the popular Miss Bindergarten series written by Joseph Slate. I compiled a list of some other books illustrated by Ashley Wolff. They are posted on the sidebar. Find out more about this lovely illustrator on her website or Facebook page. 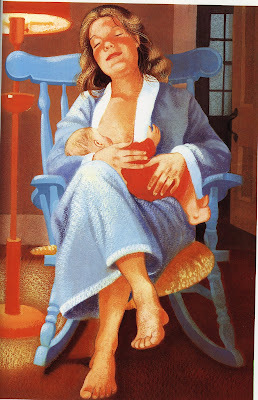 I love the illustration of the mama breastfeeding! I don't remember how I found your blog, but I've been reading for a few months now. Thanks for sharing. I love that breastfeeding illustration also, Deanna! So sweet! Thanks for commenting and I am so glad you enjoy my blog!